Following the recent summit involving the presentation of the first claimed genetically modified human babies, China has announced it would suspend He Jiankui, the researcher who claimed these results. 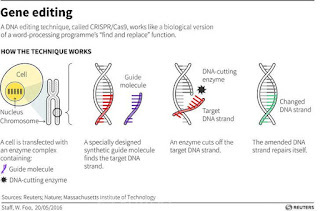 Jiankui has claimed earlier this week that he had used the CRISPR technique to edit gene sequences in embryos DNA before planting them inside of a woman to be carried to term. Although there has been little to no evidence nor data to back up said claims, the ministry of science and technology in china has suspended his work and collected his data for further investigation. However it was brought up that gene editing of human embryos is permitted in China as long as the experiment on each embryo does not last more than 14 days, thus the reason Jiankui was not discovered and stopped prior to the insemination into the donor womb. He went on to state that he was not performing these experiments in secrecy claiming he had presented his proposed experiment to his universities boards as well as consulted a scientists in the US prior to performing these experiments. One of the most important aspects to come out of this investigation so far has been evidence of a possible second experiment which involved the same process of gene editing and insemination. I feel that research like this would be helpful for the possible future use of gene editing in humans for the benefit of the human race, however this is not a case where it is better to ask for forgiveness over permission. The experiment should have gone through previous trials with lab animals prior to its use on human embryos. I understand that such experiments have probably been done already but this is a line that cannot be crossed in secrecy. I feel that this is very similar to the Nazi human experiments during WWII, yes there could be results that would further research along ten to twenty times faster than non-human experiments but the ethics of such cases cannot be understated or overlooked. There will be a time and place for gene editing on humans to produce more advanced humans that are taller, stronger, and healthier but I believe we will achieve this at a point in time when we are ready, but today is not that time. Labels: " "Genes CRISPR, " "Genes", "Gene Editing"
China is widely known as a censored country so this type of groundbreaking work is not all that surprising to me. 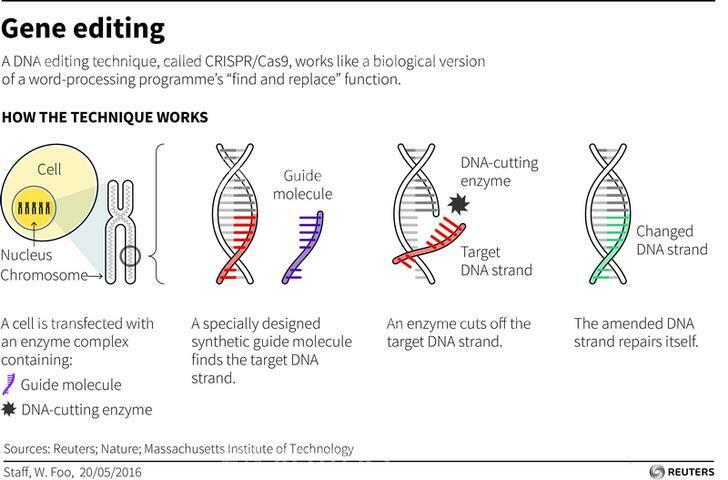 This research could be crucial to our understanding of the human gene editing and how it can affect embryos. Hopefully the world is allowed to continue and we may prosper from this work. The possibilities are limitless. I do however agree that we may not be ready for this type of work that gives us the ability to choose what people look like. Im not one to say we deserve to play god. Great work!